As part of its participation at the world’s leading travel trade show, Sharjah Investment and Development Authority (Shurooq) is reinforcing the emirate’s status as one of the Middle East’s leading tourism destinations by promoting four of its most impressive hospitality venues. 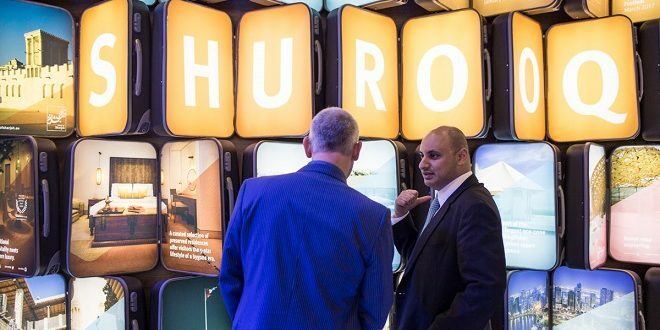 Under the umbrella of Sharjah Tourism and Commerce Development Authority, Shurooq is attracting interest from trade visitors across five continents at the ITB Berlin 2017, which is being held in Germany from March 8-12. Promoting four new hospitality facilities and highlighting its portfolio of tourism projects, with a focus on the Mleiha Archaeological and Eco-Tourism Destination and Al Noor Island, Shurooq is delivering the message that Sharjah is rapidly becoming a favourite on the regional tourism map. The developments for 2017 included Al Bait Hotel at the Heart of Sharjah project, Kingfisher Lodge in Kalba, Fossil Rock Lodge at the Mleiha Archaeological and Eco-tourism Destination and Al Badayer Oasis’s Lodge and Lounges. Al Qaseer added, “This selection of leading hospitality facilities offers a huge range of options to enjoy the luxury of five-star hotels and the pleasure of staying at world-class lodges. We have received many, many enquiries from ITB visitors who are expressing a desire to visit Sharjah, and we look forward to welcoming them all so that they can enjoy the unique experience we offer in the most important tourist sites in the emirate. Al Bait Hotel is a truly authentic Emirati hotel, designed to offer guests an exceptional hospitality experience in Sharjah. The five-star hotel combines traditional and modern features and in October 2016, Shurooq announced that 50% of Al Bait Hotel had been completed and will be a prestigious hospitality and heritage landmark located in the Heart of Sharjah. The recently announced Kingfisher Lodge is Shurooq’s debut tourism project in 2017 that will be implemented in collaboration with the Sharjah Environment and Protected Areas Authority. The luxurious tented camp offers a unique hospitability experience within Al Qurm Nature Reserve in the heart of Kalba. Al Badayer Oasis project is expected to become one of Shurooq’s premium leisure and adventure destinations in Sharjah. The project will feature a unique set of experiences for desert adventurers within the golden dunes of Sharjah’s Central Region. The Mleiha Archaeological and Eco-Tourism Destination is among the most prominent and promising tourist attractions in Sharjah, outlining the emirate’s history and heritage as part of the UAE’s civilization and culture. 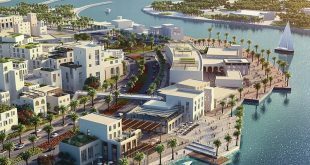 Al Noor Island is one of Shurooq’s newest tourism and leisure destinations. Located in Sharjah’s Khalid Lagoon, opposite to Al Noor Mosque, Al Noor Island combines nature, art and architecture. ITB Berlin attracts thousands of visitors and experts as well as leaders and key decision makers in the travel and tourism industry from all around the world to meet and discuss the latest developments in the global tourism sector. It offers them an ideal platform to explore ways of forging strategic partnerships with their counterparts and promoting the tourism sector, including leisure, medical, family, shopping and business tourism in their respective countries. This year’s ITB Berlin is expected to draw approximately 26,000 experts, 120,000 visitors with commercial interests and more than 10,000 exhibitors from 187 countries. It is expected to generate 7 billion euros. Shurooq was established in 2009 with the aim of achieving social, cultural, environmental and economic development on the basis of Sharjah’s distinct Arab and Islamic identity. It is focused on encouraging investment by adopting the best international standards in providing quality services that help attract investors from the region and the world.